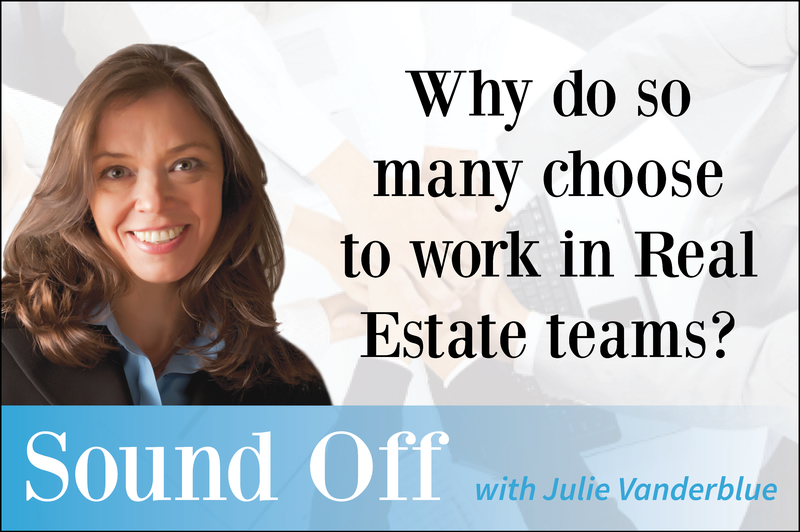 Why do so many choose to work in Real Estate teams? As founder of the Vanderblue Team -- a team continuously recognized in the top 1 percent of Realtors in the nation -- it is quite clear that I believe that real estate teams offer a higher level of value to their clients. I liken real estate teams to any other notable profession. For instance, anybody who has visited a hospital or law firm will recall the elevated benefits offered by not only the broad knowledge of the general practitioner, but also the expertise of specialists on their team. It is only through the combined dedication, commitment and specialized education of a skilled and synergistic team that the client will reap the greatest reward. It cannot be overstated that every buyer, seller and home is unique. Thus each deserves the full attention and proficiency of not only their agent but also the collaborative effort of an exceedingly experienced team. More consumers are realizing they simply cannot get everything they need from a single agent. One person just does not have the time, expertise, sphere of influence and creativity that a combined group offers. Buyers, sellers and investors understand they must expect and demand a higher level of professionalism, devotion and results that only a team can offer. It is for this reason that teams are becoming more popular. After 20 years of strengthening my team, heading panels about "teams" at national conventions and being featured in several books as a leader in team building, I offer a word of advice to those looking to hire or join a team: Choose carefully. Not all teams are based on the needs and viewpoints of the consumer as some focus more on the profit center of the company. A consumer-centric team is unique, but it will make all the difference in your experience as a client or an agent. As more teams embrace the notion that "None of us is as smart as all of us," a higher level of skill and service will be offered to consumers.